The Marantz CD6005 is designed to deliver the utmost musical fidelity, and features a range of reference class technologies including our exclusive HDAM (Hyper Dynamic Amplifier Module) discrete circuit topology along with the high resolution CS4398 D/A conversion system, which delivers up to 192 kHz/24 bit resolution. The center mount CD drive mechanism is securely fastened to the chassis to minimize vibrations, and the digital audio circuit block is housed in its own shielded subsection. The player is compatible with music CDs, CD-R and CD-RW discs, and can play a wide range of file types, including WAV, AAC, WMA and MP3 files. A convenient USB port on the front panel works with many USB memory devices, and is iPod and iPhone compatible so you can enjoy your favorite iTunes tracks with thrilling sound quality. 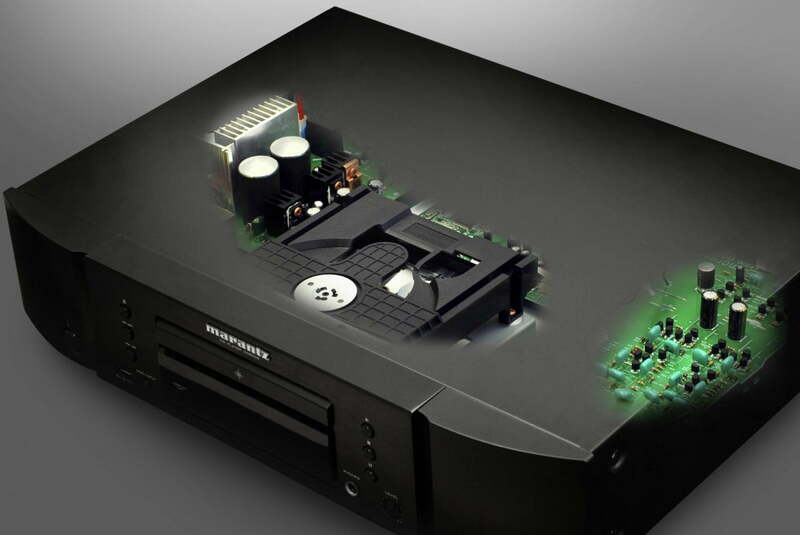 Ordinary CD players employ conventional IC-based op-amps in the D/A and analog output sections, but the Marantz CD6005 is equipped with our exclusive HDAM technology, which uses discrete circuit elements and not ICs. HDAM technology provides wide dynamic range and wide frequency response along with lowest distortion for the utmost musical fidelity. 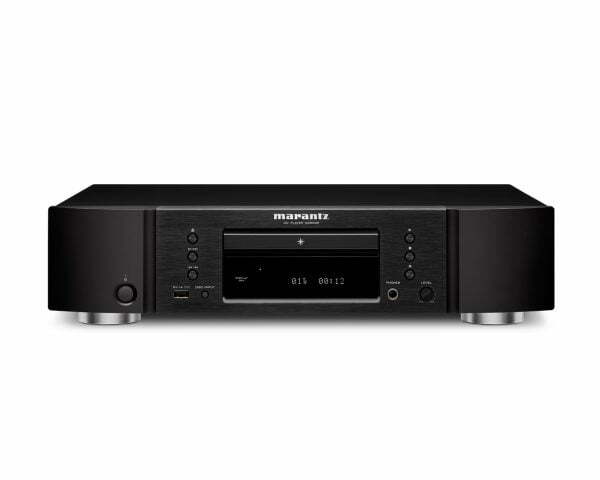 The Marantz CD6005 features high resolution D/A conversion and is equipped with the reference class CS4398 D/A converter, which provides up to 192 kHz/24 bit resolution for optimum fidelity with high resolution audio file types. To prevent interference with the critical analog audio output circuitry, the digital audio circuit block is housed in its own shielded subsection. The all discrete headphone amplifier section features the ability to properly drive the widest variety of headphone types, regardless of impedance or sensitivity, and the headphone output is equipped with a volume control. The gold plated ¼” jack is compatible with audiophile and studio headphone types and adapters. Conveniently located on the front panel, the USB port lets you connect a USB memory device, and the port is also iPod and iPhone compatible, with 5V/1A output that lets you charge your device while listening to your favorite tracks. The included remote control also lets you control your iPod or iPhone. A wide range of audio file types are supported, including WAV, AAC, WMA and MP3, with up to 24 bit/192 kHz resolution. 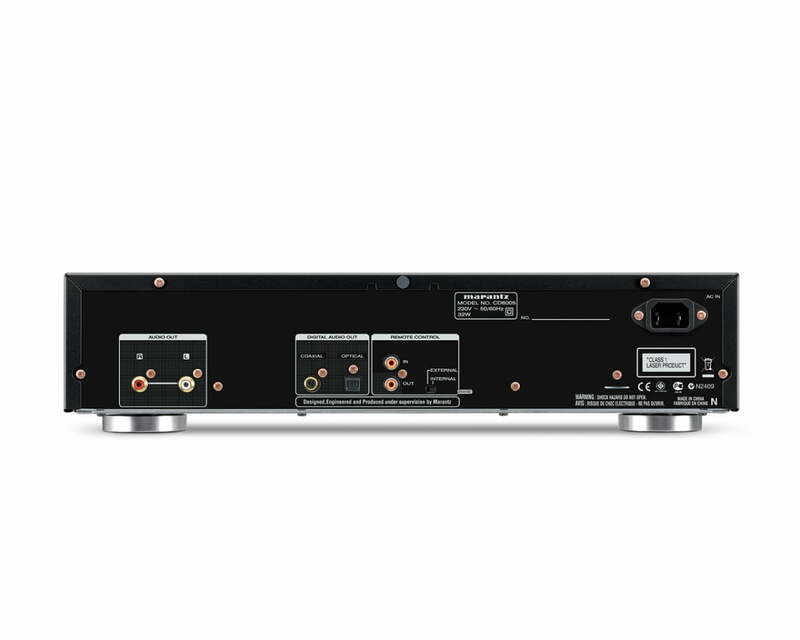 For optimum compatibility with digital audio amplifiers and decoders the Marantz CD6005 is equipped with both optical and coaxial digital audio outputs. The audio connectors, along with the digital coaxial output connector, are all gold plated to ensure optimum signal transfer with no degradation. The supplied remote control features an easy to use ergonomic design, and can control the Marantz CD6005 as well as control the matching CD6005 integrated stereo amplifier, and it can also control your iPod or iPhone. For optimum visual clarity, the Marantz CD6005 features a deluxe two line fluorescent display that features alpha-numeric characters, and is compatible with CD Text music discs.